Leave it to a lone cinematography nomination and an OCD agenda for award season completism for me to seek out a film like It Was You Charlie. This black comedy from feature debut writer/director Emmanuel Shirinian is worth checking out with or without the Screenies in mind. As nice as the cinematography by Luc Montpellier is with its dark, brooding, and atmospheric compositions, it's pretty much a given that the 1:1 cinematography by Mommy’s André Turpin has this award in a runaway with the same odds to match its aspect ratio. 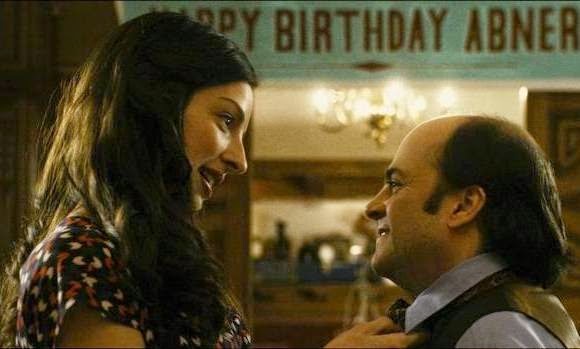 Go for the camerawork and stay for the excellent lead performance by Michael D. Cohen as downtrodden doorman Abner, who finds in the midst of an extremely suicidal mid-life crisis. Cohen, a dead ringer for Danny DeVito if CanCon producers ever want to try their hand at remaking Batman Returns, is very good as the peculiar recluse with the warped and troubled mind. Cohen’s compelling and darkly funny turn as the mentally-ill Abner handles the many abrupt tonal shifts of the film very well. It Was You Charlie veers from morbid to madcap with a quick cut, and the bizarre odyssey through the dark stages of depression is sometimes a bit too all over the map for its own good, for Abner struggles with crippling paranoia (sunglasses clad spies stalk him in the occasional scene), while the sporadic flashbacks sometimes prove a bit too confusing while Abner marinates in his unrequited love for his former student Madeleine (Barney’s Version’s Anna Hopkins), who opted to marry his brother Tom (Aaron Abrams) instead. Toss in a car crash, a relentlessly perky guardian angel/taxi driver named Zoe (Elizabeth Fleury), and a sinisterly baroque score, and It Was You Charlie amounts to a surreal blur, which, in spite of itself, always works. This black comedy is often wickedly funny and it’s spot-on in its depiction of how depression cripples even the strongest of people as their own insecurities and inadequacies overwhelm them. The title for It Was You Charlie comes from a reference to Elia Kazan’s On the Waterfront since the brothers celebrate Abner’s birthday with the tradition of seeing old movies at The Fox, and the ever-elusive thread of trying to figure out just who in the film goes by the name of Charlie add a bit of meta-madness. It’s a promising debut for Shirinian. It Was You Charlie is available on home video. Faith usually seems like a cliché when it motivates grisly thrillers, yet The Calling smartly devises a quietly captivating mystery fuelled by religion and salvation. Susan Sarandon stars as weary and hard-drinking detective Hazel Micallef, whose chronic back pain and substance abuse leave her with an unshakeable streak of bitterness. She might be one to go to church to cure what ails her, since her quiet town of Fort Dundas, Ontario is just about as quaint and churchgoing a place as one may find, but Hazel lost her faith years again and remains angry at the world. Her lack of faith makes her the ideal target for a brutal string of murders left by a serial killer making his way across Canada, who leaves bodies of the tired, sick, and elderly streaked with brutal marks and seemingly sadistic calling cards. 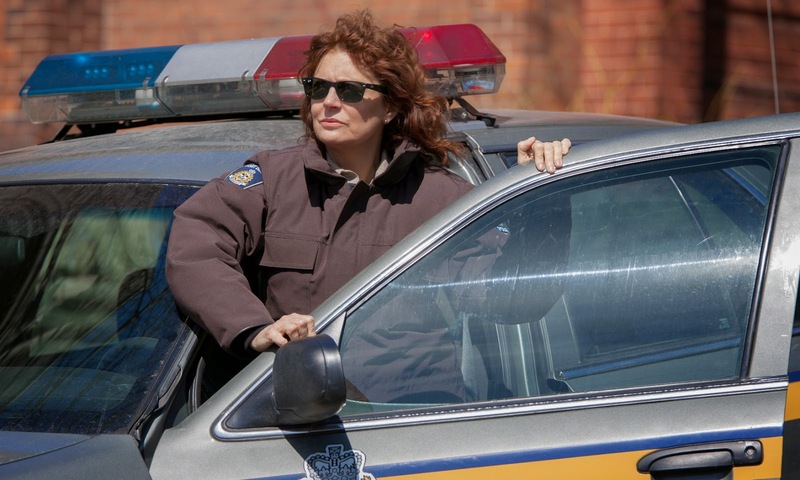 Driven by a terrific performance by Sarandon as the cranky cop, The Calling smartly uses the elements of faith that underlie the motives of the killer as more than just mere churchplay. (Donald Sutherland also offers a fine supporting turn as a priest whose teachings help Hazel along the way.) The crime scenes left by the creepy killer Simon have an undeniable feel of a man playing God, but the scriptural overtone to the messages he leaves behind with the bodies invites an unexpectedly provocative play on spiritually-motivated euthanasia as the promises of salvation invite Hazel to confront her own unhappiness and purposelessness. The script by Scott Abramovitch (a current Screenie nominee for Best Adapted Screenplay) uses familiar elements of successful faith-driven serial killer thrillers like Seven, but the film frequently surpasses many entries in the genre with its increasingly complex characterization of its female inquisitor. Hazel finds herself caught between sin and salvation as she and a rookie cop (Topher Grace) track Simon across the country, but her own interest in the church and her bitterness at God for failing her invests her in mindset of the pursuer and the victims alike. Sarandon’s expertly cantankerous performance as Hazel creates a woman who is driven by a need to find meaning in her empty life while she also lapses into creature comforts like pills and booze and to avoid atonement. The Calling reaches its climax as Sarandon allows Hazel to be most susceptible to the vulnerability and search for higher meaning that leads Simon to his victims, and it’s a superior quest for faith in the unlikeliest of places. This smart, atmospheric thriller is reason to have some faith in award season’s ability to uncover hidden gems. The Calling is available on home video. What films have you caught up with in your award season quest?